Double the bopping action with these rockin' football trophies! These bobble head football figures feature two action pivots: a head that bops up and down and a body that rocks back and forth. The Bobblehead statue is crafted of solid resin to resemble antiqued pewter with gold highlights. 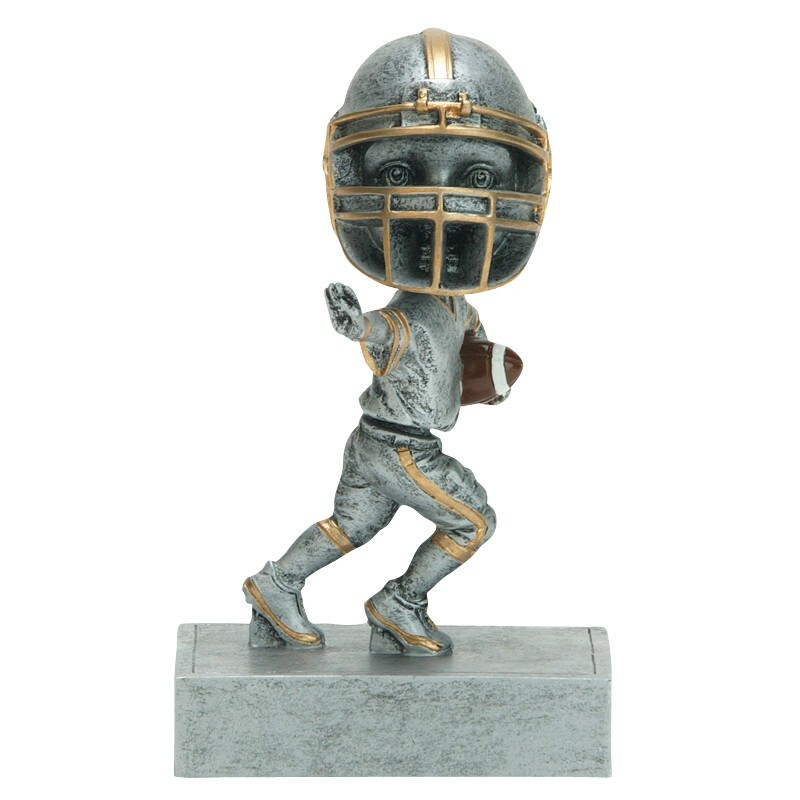 Any football player is sure to love these Junior Football Bobblehead Trophies!